What is a 'Yagya' or ‘Yajna’? To understand the basic idea of Yagya, also known as Yagna, Yajna, Yaga or homam you are requested to undergo our informative review titled ’What is Yagya ’.You will definitely get a fair knowledge of the whole concept. Whether Pooja/ Puja, Yagya, Havan and Homa are the same things? As per Vedic custom and tradition, Puja or Pooja is a very personal procedure. There is no any strict or structured set of activities to be conducted in a particular Pooja. All depends on the wish, desire or comfort of the performer. It can be conducted anywhere; at garden, at a temple, at a home or even at a picnic place. One may do on his own or with the help of some Pandits, depending on how elaborate it is. Time consumed may change between 10 minutes to a few hours. Havan/ Homam is offering oblation to sacrificial Fire, ideally along with some Mantra. Traditionally, Yagyas were separated into three types; Nitya (Daily), Naimittika Yagya (Occasional/ Ceremonial) and Kaamya Yagya (Purposeful/ Intentional). To some extent, Havan/ Homam are similar to Nitya (Daily) Yagya. However, Yagyas conducted by ‘AstroDevam.com’®, come under the purview of Naimittika (Occasional/ Ceremonial) and Kaamya (Purposeful/ Intentional). One example of Naimittika (Occasional/ Ceremonial) Yagya is Birthday Yagya, while example of Kaamya (Purposeful/ Intentional) Yagya is Wealth Enhancement Yagya. Compared to Pooja/ Puja and Homam/ Havan; Yagyas take in much more resource, time, manpower, space etc. They are to be organized much in advance. At ‘AstroDevam.com’®, Yagya is conducted in most real, structured and complex manner. You can compare our method with any other Yagya performer in the world, India or any other country..
What is the significance of Yagyas? Vedic ethos conceptualizes every individual to work as open unit, having continuous and regular connection with other people, his surrounding atmosphere as well as higher energies pervading the Universe. Nothing demonstrates it better than the idea of Yagya. Yagya is a remedy developed by Vedic Seers to create balance and harmony in all parts of human life, universe and society. Even a basic understanding of the idea of ‘Panch Maha Yagya’ (Five great sacrifices) explains this point. Is it necessary to perform Yagya for a person? Vedic scriptures make it necessary on the part of each household to perform ‘Panch Maha Yagya’ (Five great Yajnas). However, with the passage of time and alter in lifestyle, many of these ‘Five Great Yagyas’ have changed their forms, but it is believed that for attaining ultimate solution, performance of these Yajnas is must, whatever be the form. We have organized all our ‘Vedic Yagyas’ in a way that you are relieved of your responsibility of all ‘Five Great Yajnas’, only by sponsoring one Yagya with us. Just to elaborate, a part of cash sent by you for performance of Yajna is spent on the poor and needy portions of the society, via AHWAAN- a Public Charitable Trust started by us, which is certified with Government of India. This is only one example to explain the things. What actually occurs, when Yagnas are performed with specific rituals and mantra chanting, they cause the re-generation, re-arrangement and re-alignment of the vibrations of someone's energy and life. In a Yagya, specific Mantras from Vedas are chanted on specific meter. The sound pattern produced by these divine sounds produce desired impact for the person, who has sponsored the Yagya, or in other words, for whom Yagya is being conducted. The nature and quantum of material used in the Yagya play an important role in producing desired impact. Yagyas come under the Karma concept of Vedic Philosophy. By doing a Karma of Yajna performance with specific intentions, one can transform the impact of destiny upon you. This is like putting extra shocker in your vehicle, when road is rough. At one stage, Yagyas reduce negative effect of Grahas (generally translated as planets, but this is not the same, as Sun is not a planet, it is a star and Rahu & Ketu are only delicate points, again not planets), which are harmful to you; at another stage, they strengthen the positive impact of Grahas favorable to you. Yagyas, if performed properly, help you to utilize Universal Cosmic Energy in your favor, in a very optimum way. For whom a Yagya can be performed? Yagyas may be organized for any individual, without any discrimination on the basis of color, gender, cast, nationality or religion. Yajnas have nothing to do with any religion. They work as natural and positive mechanism for managing divine and universal energy systems, which Indian knowledge system was the first to recognise and, possibly, interpreted through the prism of local cultural circumstances. ‘AstroDevam.com’® performs Yagya for anyone who wishes support of cosmic power and the force of Grahas (Planets). Can a Yagya force a 'desirable' event or occurrence to take place? No, Yajnas cannot push something to take place that is against natural Karma. Yagyas assist and aid in bringing about a pleasing outcome, but they cannot pressure something to take place. You cannot force someone to love you, you cannot force wealth and good luck, but Yagyas will speed up the procedure if it exists as a potential, they help in reducing the time before something good evolved, they help in removing hurdles that may occur. Yajnas cannot push something to happen because it is desired; they allow it to be manifest if it is Karmically deserved. What are the specialties of ‘Vedic Yagya’? Simply go through our segment, ‘Vedic Yagya- They are different’ for knowing their individuality. It may be an eye opener for you. If I am ordering a Yagya for me, is it necessary for me also to chant Mantra of that Yagya? Generally, we do not suggest our customers to chant the Vedic Mantras, while Yagya is being performed for them. Our specialist team of Pundits, who are performing Yajna for you, is already doing the chanting of Vedic Mantra for you in best probable manner. After constant research, we have identified that if somebody recites a Mantra in an incorrect way then he/she may have to face the adverse effects. If someone is interested in reciting Mantra, he should learn from us after going segment Vedic Mantra. Even though, they may be very simple and basic, we do not desire to give all those details here. All these information are mailed to our valued customers only, who sponsor Vedic Yajnas for them, since all these are not so common, as provided on the websites run by the businessmen and the individual with profit purpose. All these information are relevant to specific Yagya, specific individual, specific planetary combination as well as specific nature of the trouble to be redressed / goal to be fulfilled. My son and daughter-in-law are staying in another country and unable to conceive despite of best efforts. I wish that they should order Santan Gopal Yagya, but perhaps, they do not believe in the power of Yagyas. Is this possible for me to pay for organizing Yagya for them? Unless your son and daughter-in-law do not conduct the process of ‘Sankalpam’ (unique method of Vedic Science, through which, the advantage of Yagya are transferred), we cannot conduct Yagya for them, even if you spend money for the same. However, you may order an Vedic Yajna for your grandchild. In this situation, you will do the Sankalpam as well as spend on that, because it is your wish of having grandchild, which is going to be completed. In essence, for successful completion of Yagya, it is necessary that some person having vested interest in the Yagya, takes Sankalpam for the Yagya. How much time or notice period, ‘AstroDevam.com’® requires for organizing Yagya? At ‘AstroDevam.com’®, regular notice period is one fortnight, after the payment is received, apart from the cases of Death and Life, in whose cases on humanitarian reasons, we arrange Yajna at very short notice. In these situations, some time, we have to postpone other Yajnas and redirect the team and resources alloted to them. Although, these diversions are only done after intimation to and after receipt of proper approval from the persons, for whom these Yajnas were intended to be structured. Some other situations, where we organize Yajnas on short notice are ‘Yagya for secure delivery’, if delivery is due shortly, ‘Yagya for successful marriage’, if marriage has been fixed at very short notice, ‘Yagya for Freedom from Jail’, if someone is in prison and hearing is scheduled shortly in a Court, ‘Yagya for A safe, secure journey’, if foreign journey is to be performed on a very short notice and lastly, Performance of Rites to Honor the Deceased (Narayan Bali). While other websites organize Yagyas within a few hours to 3 to 5 days, anywhere in the world, why ‘AstroDevam.com’® takes notice period of one month? Many websites, and companies, being run by businessmen to make money, have come into field of performing Yagyas and other similar services and products. These cheats and thugs, having not even basic knowledge of Yagya and Yagya Therapy, perform sham and mock Yagyas. This is the reason; they are able to organize their Yagyas at such a short notice. However, we organize Vedic Yajnas only at a specific chosen time, in most authentic and transparent manner. For this, our teams collect all the material afresh, as dictated by ancient scriptures, and all this pain, just to give best results to our customers. You should appreciate that you are not coming to buy a pizza from a restaurant, but ordering for an ‘Vedic Yagya’, which is maybe going to transform your whole life. How long does it take to notice result of Yagyas? It depends on the gravity of wish to be achieved or the problem to be redressed. In normal cases, 60 to 90 days are sufficient time to test it out. However, in case of karmic obstructions due to sins committed in the past, it may take more time. Some Yajnas start to give result immediately if the karmic potential is ripe. Some Yajnas are more effective over the long term, gradually increasing the levels of abundance they confer. However, once you have performed the Sankalpam, you will start to notice the effect. Benefit of protection is also available from the moment, you have performed the Sankalpam. Some of our customers got miraculous benefits, just after Yagya had started, but we do not hope the same in every situation. Who performs the Vedic Yagyas at AstroDevam.com®? Whether AstroDevam.com® performs Yagyas out of India? No, we do not perform Yagyas out of India, except very peculiar cases. We believe that every Yajna is to be done strictly as per Vedic scriptures, unless you do intend to do fraud or sham in the name of Yajna. Many a time, Indian Laws do not allow export of many herbs, which are essentially to be used in a Yajna and without using them a Yajna cannot be considered complete. Due to this reason, it becomes very difficult for us to organize Vedic Yagya, out of India in an authentic way. But Many websites, eBay’s and companies, being run by businessmen to make money only, are conducting Yajnas at any place of world, without worrying about the ultimate results and cheating gullible and innocent patrons. Since, ‘AstroDevam.com’® believes Yagya as Mission and not as a business for making money, we avoid performing Yajnas out of India. Many websites offer discounts and freebies along with Yagyas, but I find no such scheme at AstroDevam.com®? Neither ‘AstroDevam.com’® is a retail shop and nor Yajna is a product, going to be sold under discount plans. 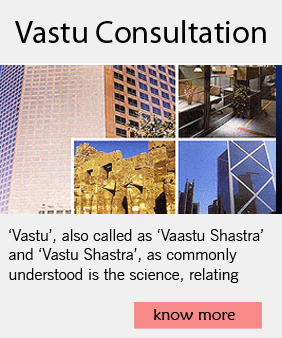 Some websites are giving free consultation, some offering twenty percent discounts, if you repeat Yajnas with them. We at ‘AstroDevam.com’® hate all such practices, which are giving a bad name to this ancient Yajna. We simply charge a specific percent less to our customers, who are members of our organization, directly or through website. But this is applicable to our all services and products and secondly, this is not a discount, but it is our gesture to pass on our savings in management expenditures, because of their continuous support. I have facility for performing Yagya at my place and want to be your associate for performing Yagya. What is the procedure? We receive a lot of requests of this type for being appointed associate or partner of our organization. Actually, this nefarious process has been started by some websites and organizations, being run by businesspersons to make money. They give thirty to fifty percent commission to their so-called partner or associate. You can view the quality of Yajna, which is going to be conducted by such a company or organization. We just want to make clear that being staunch believers in Vedic culture, we do not indulge in any such process. 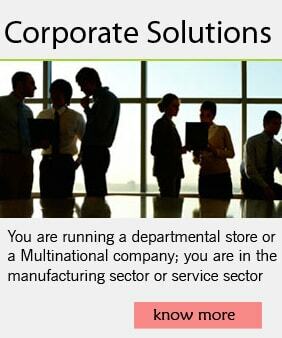 We also request innocent followers to maintain distance from companies, who appoint partners or associates. Why AstroDevam.com® does not criticize other persons who are performing Yagya? The simple answer of this question is, just because we believe in Vedic culture; we keep ourselves concentrated at and remain involved in positive and constructive agenda, consisting of deep, extensive and constant research, evolution and education. We leave the work of finding the faults on others, because they do not do any work apart than that. One organization, which is a actually a big call centre and nothing else, talks about small size of our office and boasts about their big work place with a lot of tele-callers and computer systems. Previously, we knew that Yajnas are to be conducted at spiritual places with high cosmic energy and vibration, and did not know that size of work place and number of tele-callers is much more important for that. We thanked them for their useful information. Another organization has blacklisted us. Their blacklisting list consists of all the companies performing Yajnas on this earth, except them. The funny part of this story is that they have also blacklisted their patrons, because they are not paying them for their so-called services and products. Anyone can easily understand their level of services, if they have to blacklist their own patrons. Another Yajna company (Yes, it is a company running from an individual’s pocket) claims that we have taken some content from their website. They backed out, only when threatened to meet in the Court Room. Latter we knew that they have more advocates on their panel than Yajna performers and it is their routine to demand money from other astrologers, on this or that excuse. When contacted, our friends in Indian Police informed us that they are part of international blackmailing racket, which first hack your website for placing some images and content and then demand expensive damages. It was recommended to us to not to waste time with them. Some other so-called Yajna specialists, who were trained at Maharishi Yagya Program started by Late Maharshi Mahesh Yogi ji, now criticize him and his organization after his death. Somebody tell them ancient Vedic scriptures have condemned all these people, who criticize their Guru, for personal gains, as Asuras. We bow all these people, companies, and websites, who have mastery in faultfinding with others and are busy in the same, because, for this reason, they have left the work of performing Yajnas for us, which satisfies us most. Why the Yagyas are so costly? If Yagyas are really to be done as per Vedic scriptures, they require a lot of Manpower, time and recourses. Since, performance of Yajnas is not a business for ‘ASTRODEVAM.COM’®, but only a goal, we regularly calculate and recalculate all the expenses and try to maintain them at bare minimum, without reducing the quality of Yajna. Based on our experience, we can tell it with full confidence that if some other website or organization is offering Yajnas at lower prices, they are definitely compromising somewhere. Another remote possibility is that they are simply doing some fraud or sham in the name of Yajna. With the global warming and environmental changes, availability of herbs necessarily to be used in Yagyas has become limited and rare, and due to this reason, expensive and costly. It has become a prime factor due to which we are unable to decrease the cost of Yajnas beyond a certain level. You should appreciate that you are sponsoring a Yajna for yourself, and not a simple Puja, Pooja, Homam or Havan. How many types and categories of Yagyas, AstroDevam.com® organizes? We organize three kinds of Yagyas; Divine (relating to deities), Planetary (relating to Grahas) and Special Purpose (Tailor made to fulfill a specific objective). You can see the particulars of all these Yajnas after going through our segment ‘Choose Your Yagya’. We also organize particular type of Yajnas for the fulfillment of any peculiar objective or desire of our customers. What is difference between Superior Yagyas and Regular Yagyas? Both the Yagyas are similar, as we never compromise on the rituals, material or the process. The only difference between these two Yagyas is that in case of Superior Vedic Yagyas, higher numbers of Mantra chanting is done, but in case of Regular Vedic Yagyas, less number of Mantra chanting is done. Otherwise both the Yagyas are similar and performed strictly as per directions given in the Vedic scriptures. Due to higher number of Mantra chanting, the effect of Superior Vedic Yagyas is faster and long lasting, as compared to Regular Vedic Yagyas. Quality of our Regular Vedic Yagyas is even better than so called A Category Yagyas performed by other service providers. We do not perform cheaper version of Yagyas, due to our commitment to Vedic Ethos and result oriented approach. Is it possible for me to perform Yagya on my own? You will find many persons in the world, who try to treat their illnesses and diseases on their own, even in most critical situations. They will do trial and error and do a lot of experiments with their health. But any rational person will suggest you to visit a medical professional in case of any illness and disease, pay his fee and avail their services, unless you, yourself, are trained for medical profession. The same fact applies to Yagyas also. We always suggest to persons, who are inclined to do Yagya on their own to get themselves trained properly in any Institution in India. This training may take around four to seven years or even more, if you do not have any background in Vedas and Sanskrit. But if it is not so, it is better if you just pay service charges to ‘AstroDevam.com’® or some other professional Yagya performer. You will find that their charges are quite reasonable, if you consider the manpower involved, cost of the material and other resources used in the performance of Yagya. You should also remember that if you perform any Yagya in wrong manner or with substandard or defective material, you may be subjected to grave side effects. Whether I am required to remain present in Yagya sponsored by me? You are not supposed to stay present in your Yajna. The Pundits at ‘AstroDevam.com’®, who perform the Yajna, work as medium between Cosmic Forces and the person who is sponsoring the Yagya. For this, the Pundits recite the name and other details, already received from you, at the time of invoking the Cosmic Forces and in this way make sure that the benefits are transmitted to you, in the fullest, crossing all the dimensions of space and time. At the ‘AstroDevam.com’®, we have created this Vedic procedure, to perfection, with the help of some secret verses of Atharva Veda and Yajurveda. These verses have been found out after painstaking research and are kept secret and not shared with anyone, due to fear of wrong use. The moment, a Yajna is performed for you by ‘AstroDevam.com’®; you start to feel it’s positive result. However, if you want to visit your Yajna, you are most welcome, but you will have to inform us in advance, so that required arrangements could be made. Can I order Yagya for any objective? We do not organize Yajnas for any wrong or illegal objective. We also do not organize Yajnas for any objective, which is prima facie impossible. You might desire to rule whole planet, but we are not going to organize Yajna for that, because cosmic energies will not support realization of this purpose. We also do not do Black Magic; however, we conduct Yajna for your protection from Black Magic. How will I know that your Yagya will work? If any Yajna is performed properly, it is bound to work. Usually, effect of any Yajna is experienced after a certain time period, however in case of serious problem like life and death; we intensify the whole procedure to save one’s life, so that result is felt within a fortnight. Once, the life is saved, we advise another Yajna for stabilizing health. How do I know which Vedic Yagya will suit me? You should get the services of our unique Yajna recommendation service. Based on your birth details/ wish to be fulfilled/ Problems being confronted by you; panel of astrologers / Pundits at ‘‘AstroDevam.com’®, will suggest you most suitable Vedic Yajna, which will give you the best results. This service is not like very general Yagya recommendation, being given by other websites and astrologers, but it is a advanced and unparalleled service. To know more about it, read our segment ‘Vedic Yagya - They are different’. What is Yagya Recommendation, and how to get the same? team in the light of information, having been communicated by you, which are only a routine event for us, we do not take any money as an advance for this suggestion. 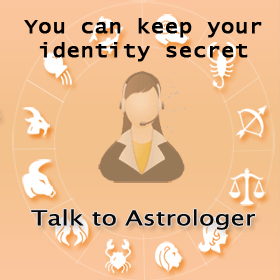 In case of second option, you have to provide us your Birth information, through ‘Yagya Recommendation Form’, as on the basis of which, a specialist of Vedic Astrology from ‘AstroDevam.com’® will cast a Vedic Horoscope of your whole life. (We appreciate, if you provide some other details of your life, like marital status, educational status, financial condition, nature of profession etc. put with the string of events in your life; the more you provide it is better, because this information is utilized to associate and vouch the Birth information provided by you.) Then a team of skilled and proficient Vedic Pandits, priests and astrologers completely analyze your Vedic Horoscope and that team after deep assessment, arrives out at the Yajna to be done for you. Is it necessary to perform Nav Graha (Nine planets) Yagya before any other Yagya? It is not essential, but we suggest that you should organize Nav Graha (Nine planets) Yajna before any other Yagya. Because this peculiar Yagya has the capacity to clear all Karmic blockages in your destiny due to propitiation of all Nine Grahas ((loosely translated as planets, but this is not the same, as Sun is not a planet, it is a star and Rahu & Ketu are only sensitive points, again not planets). Some of planets in your horoscope are benefic to you and some are malefic to you. At any time, due to their basic position in your horoscope, their current Dasa (running period), and current transit, two or three planets, which are malefic to you are to be pacified. Again, if you are going to do something big in your life or something sensitive is going to happen, two or three planets, which are benefic to you are to be strengthened. In totality, if you do Yajna for all the nine planets, you will take care of your malefic as well as benefic planets simultaneously. Another reason is that cost of this Yajna is much cheaper than Yajnas for planets, if done separately. Many of our patrons order this Yajna as an annual feature and by this Yajna, they clear the clutter of Karma of last year and ensure smoothness for next year. How will I know that Yagya has been performed for me? We keep you informed about all the developments step by step. Additionally, you can listen Mantra chanting on your phone. You can also order for photographs and video of Vedic Yagya, exclusively performed for you.